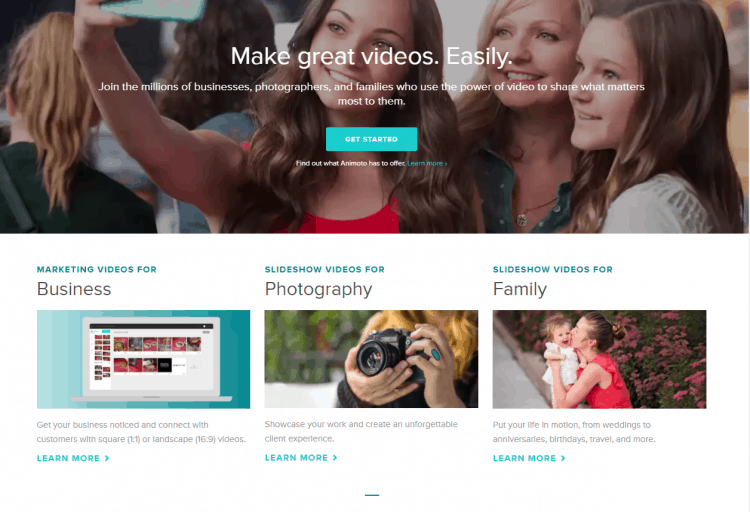 Whether you are trying to make your first slideshow or first video, Animoto is a great tool to use. It’s really fantastic to use and can make anybody a video creator. Animoto is the ideal tool helping you create videos that perform well on Facebook and other social platforms. It elevates your images and makes them much more professional and amazing. There are millions of businesses, photographers, and families using the power of videos and you can do it too. Marketing Videos for Business- Get your business noticed and connect with customers with square (1:1) or landscape (16:9) videos. Slideshow Videos for Photography– Showcase your work and create an unforgettable client experience. Slideshow Videos for Family– Put your life in motion, from weddings to anniversaries, birthdays, travel, and more.